Just a day after the rumors that Sony will make official an upgraded PS4 next month, the Japanese company has started sending invites for a PlayStation event scheduled for September 7. 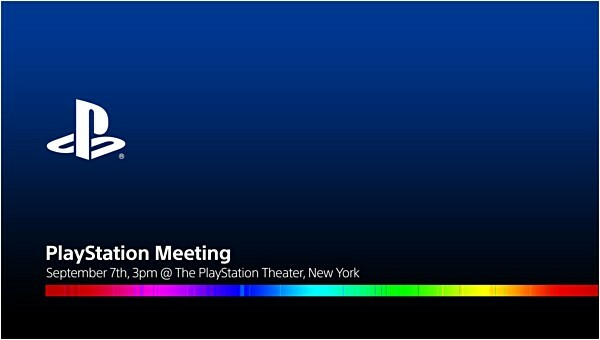 While the invitation doesn't reveal the star of the event, it'd be reasonable to assume that the 4K-capable PS4 Neo will be unveiled. Sony had confirmed the device ahead of this year's E3, but the console itself missed the gaming expo. The company hasn't revealed an exact price yet, but Andrew House - the president and group CEO of Sony Interactive Entertainment - said in June that it will be over $350. well actually current PS4 is able to play 4K videos! The invite is an obvious hint at HDR. So.. probably 4K also. Hope that means 4K games and heavily updated hardware, not just hdmi 2.0 and displayport for 4K movies, but games at 1080P..